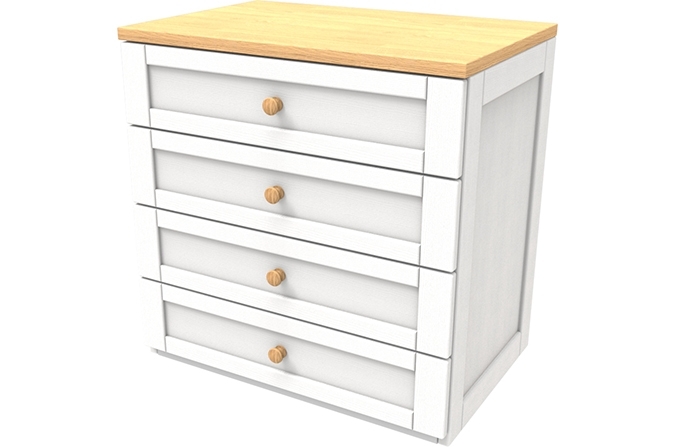 Ideal for creating extra storage space in your child's bedroom,the Sierra Collection White Four Drawer Chest is perfect for adding space for clothes or toys. 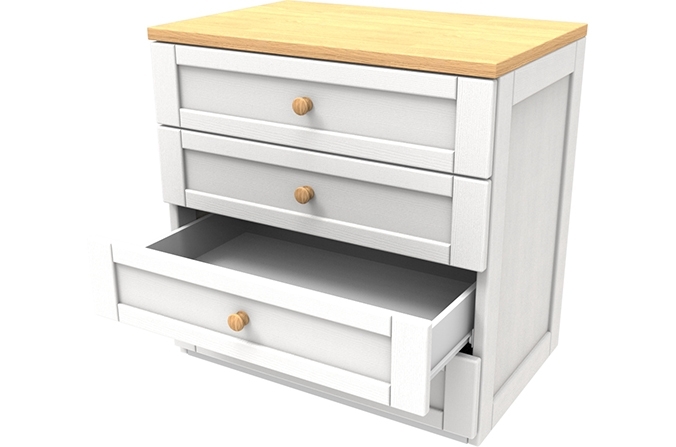 Designed to match other items in the Sierra Collection, these chest of drawers will create a chic and effortless look in any child's bedroom. 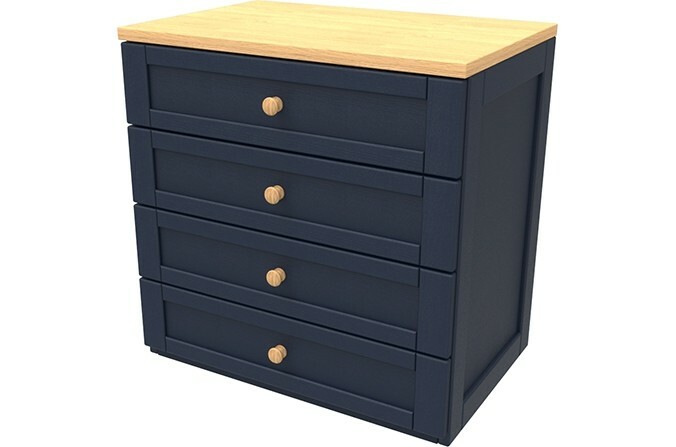 Kids Navy Four Drawer Chest to match the Sierra Collection - Painted Navy also available in Arctic White. 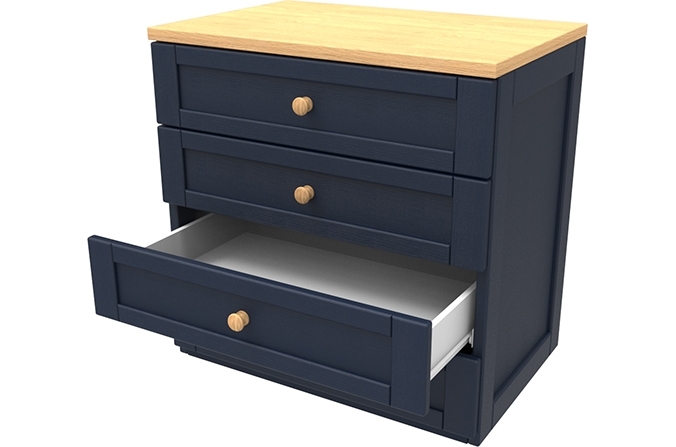 Lancaster oak melamine top with a beautiful painted ash hardwood frame.